The corporation was founded on March 5th, 1968 and has been in existence for more than 50 years. 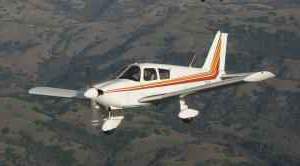 Our Cherokee PA28-180C is based at Reid-Hillview airport (KRHV) in San Jose, California. We are an easy going association of 12 pilots. Even though most of the pilots are active, many only fly every couple of months. The plane is available most of the time and it can usually be booked with only a few minutes notice. Of course there are occassional conflicts, but it is generally available. We use a state of the art web based scheduling system. The plane may also be booked by calling the scheduling system using a phone. We hope you enjoy your tour of our website. If you are interested in purchasing a share of our association, please feel free to contact us.